Immerse yourself in the holiday spirit! 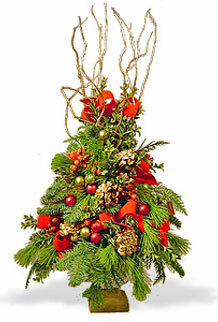 In this workshop, students will create beautiful Christmas designs for their homes or offices. The three (3) projects include a wreath, a Christmas centerpiece and a holiday table-top tree using fresh winter flowers, foliages, ribbons and accessories. Students will take the projects home at the conclusion of the seminar. These hands-on arrangements are suitable for both beginners and experienced floral designers. *Tools and books are available for purchase on the first day of class. Due to the specialized nature of this holiday course, advanced registration is required.